Whether it’s your own horse or you are a barn owner thinking of adding another revenue stream by boarding horses that are injured, you will probably experience a horse needing special recuperative care at least once. Most of the time, it will be a leg injury of some sort and your veterinarian will recommend “stall rest.” For most of us, time off from work sounds great, but constant confinement to a working horse is anything but relaxing. Not to worry though, there are ways to make your horse more comfortable and things easier for you during his stall rest and rehab time. 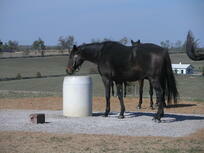 First, remember that even though your horse’s body may need stall rest, his mind doesn’t. He will still need something to occupy his brain or he will FIND something to do, e.g. cribbing, stall weaving, calling to his neighbors. Locating your horse in a bright, airy stall near some activity that he can watch (e.g. 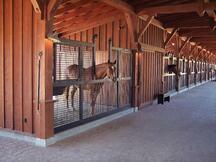 wash rack, tack room) is one way to keep your horse entertained while he’s in his stall. Stalls like Classic Equine Equipment’s design with mesh or yoke stall fronts so he can see out into the aisle and mesh or partially open stall partitions so he can see his neighbors will help. Adding stall mats or a stall mattress under the bedding in his stall will give him extra comfort and stability. It may also encourage him to lay down more and take the weight off the injured leg. Using a hay rack or hay net forces him to work a bit harder and eat a bit slower than if you just put the hay on the ground where he can gobble it up quickly and then have nothing to do until the next feeding. There are also numerous horse treat or other toys you can add to his stall - a simple one is an old plastic milk jug into which you cut a whole and add some treats. Tie it slightly above the horse’s head and he will learn to bump it to make a treat fall out. After a few days or weeks, your vet may allow your horse some outside time. This usually means being turned out in a small paddock where he can walk around a bit more, but still not run and possibly re-injure himself. Whether your horse has his own paddock attached to his stall or you use a small round pen, make sure that it has an excellent footing – even, stable and mud free. 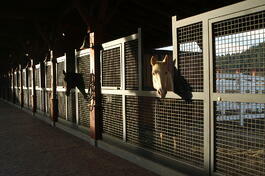 One of the best ways to keep your horse protected during turnout is to use stall mats in the paddock or arena. 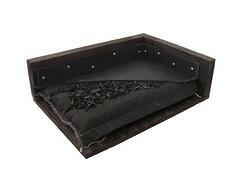 This ensures safe and comfortable surface. And for potentially muddy areas, use the Classic Equine Equipment Stable-ity Grid. When it’s time to take your horse back to work, start slow and only with a vet’s OK. One easy way to start off is with the Classic Equine Equipment’s Ultraciser®, a free run automated equine exerciser that allows you to create your own custom routines to match your horse’s age, condition and fitness goals. You’ll need time and patience to take on special need horses, but it will be well worth it when they are happy and back to good health.